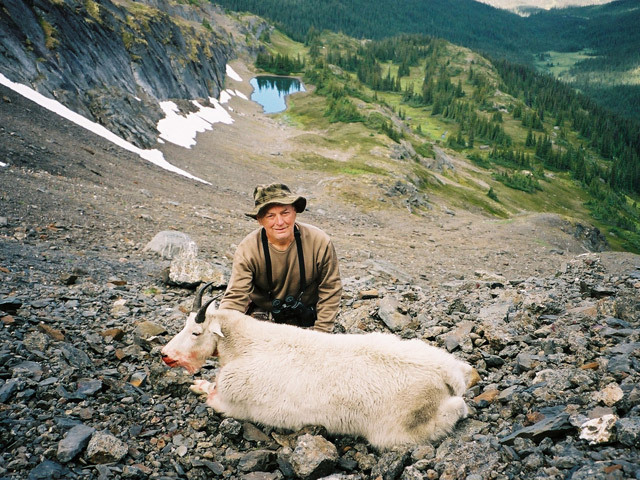 This outfitter offers two options for mountain goat hunts. Option #1 is a fly-in hunt and Option #2 is reached via truck. Both are excellent hunts with nearly identical success rates. Tags are guaranteed so no draw is required. Both hunts have good populations of goats. Harvested goats average 9.5 inches. Shot opportunity has been 75%. Also compared to what is normally considered “goat country”, the terrain here isn’t as tough but you still need to arrive in good shape. 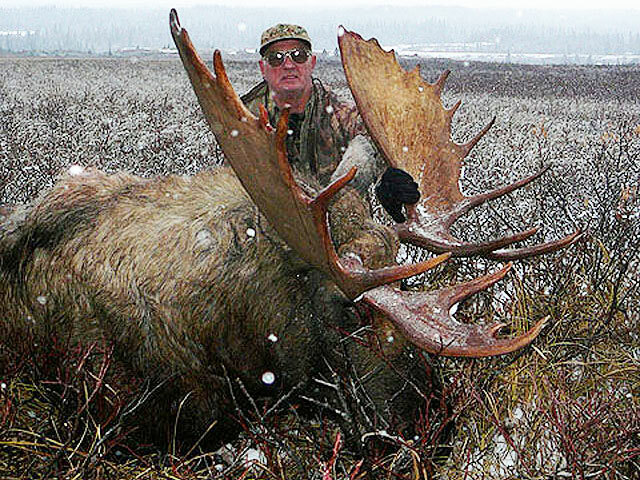 Doing so greatly increases your odds of success and will make the hunt more enjoyable. 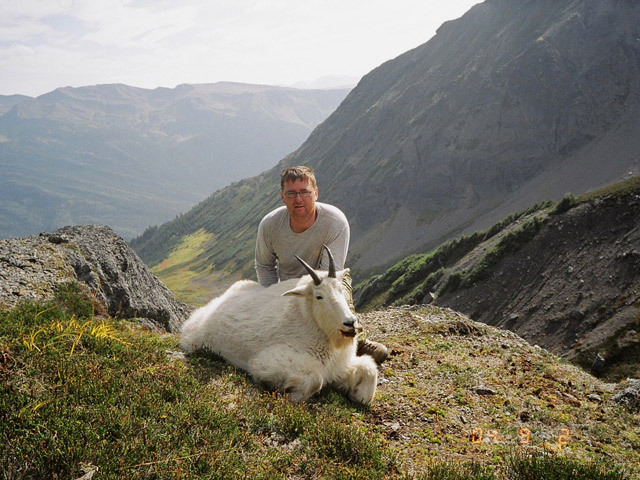 Option #1: Hunt mountain goats in the remote backcountry of northern British Columbia near the headwaters of the Skeena River and bordering Spatsizi Wilderness Park. Base camp is accessed via a float plane from Smithers, BC. Hunts start out from base camp and then end up at spike camps. This is not a horseback hunt. Includes: meals, lodging, hotel arrangements in Smithers, field care of meat and trophies and government royalties. Not included: float plane charter fee, license and tags, hotel accommodations and meals in Smithers, trophy crating and shipping, liquor, tobacco and gratuities. Getting there: fly into Vancouver and then to Smithers via Air Canada. Arrive in Smithers the day prior to the start of your hunt. Take the float plane from Smithers to the hunt area - 1 ½ hour flight. Flight departs on the day of hunt commencement. Option #2: Instead of taking the float plane into the remote camp, hunt an area that can reached via truck. 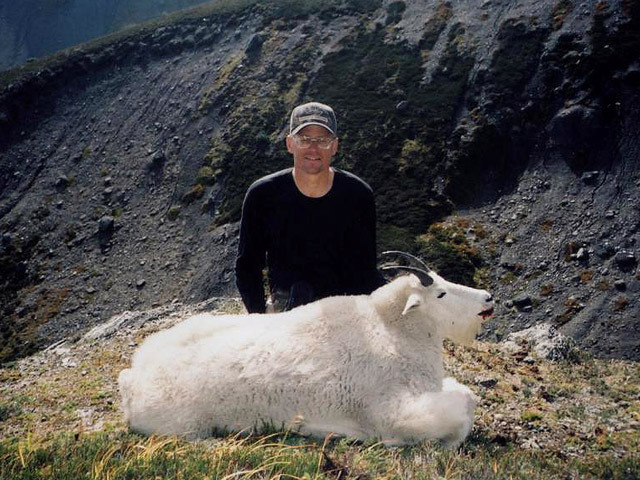 This hunt still involves hiking into the backcountry and sleeping in a backpack tent. Includes same services as Option #1. Very limited openings on this hunt. On 2×1 hunts, both hunters must be from the same party. Hunt the in the remote backcountry of northern British Columbia near the headwaters of the Skeena River and bordering Spatsizi Wilderness Park. 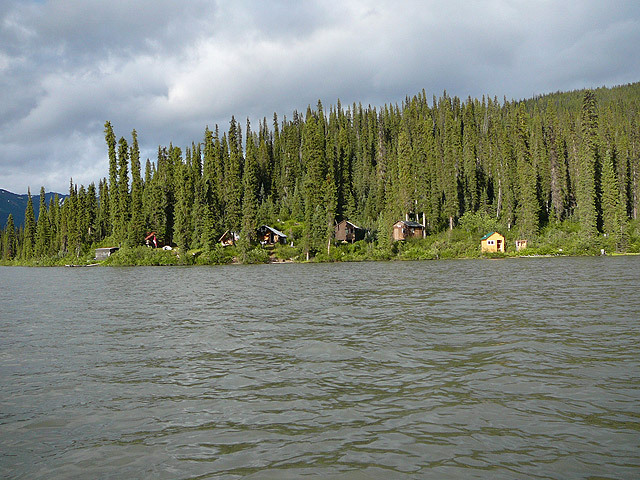 Base camp is accessed via a float plane from Smithers, BC. This is not a horseback hunt. 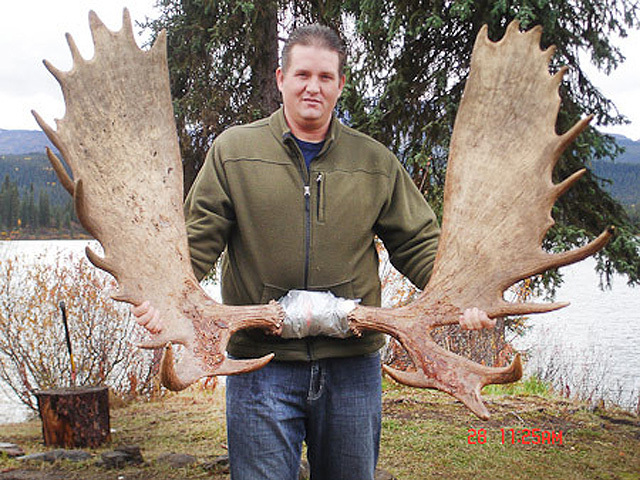 Combo species include various combinations of the following animals: mountain goat, mountain caribou and Canadian moose. Hunts are held in September and October. This is the same outfitter that offers Hunt #17-MG and Hunt #17-MO. Float plane charter cost is $1300 roundtrip + 5% tax. 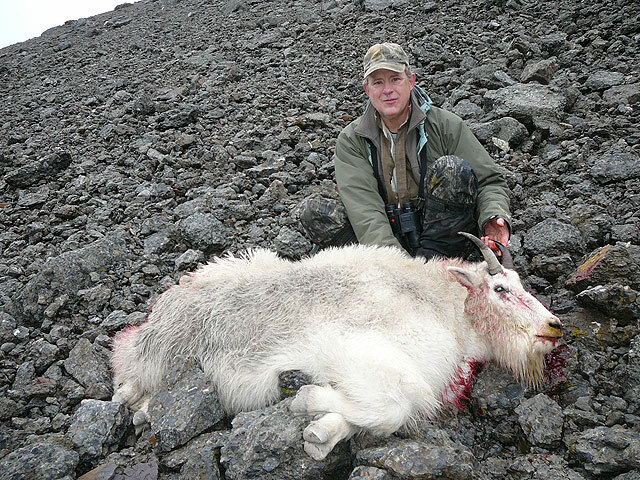 License cost is $210; Moose tag $290; Mountain Goat tag $350; Caribou tag $220 + 5% tax. All combo hunts are 1 hunter/guide. There is a $200 NRHPF (Non Resident Hunting Preservation Fund) fee and a 2.5% GST on the hunt fee - outfitter will pay GST on harvest fee. 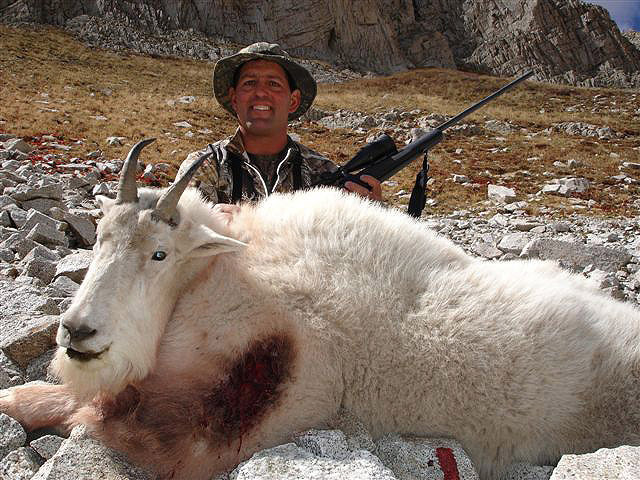 This outfitter conducts goat hunts in unit G13. This is beautiful Rocky Mountain high country ranging from 8,000 to 13,000 feet elevation. Hunters will need to be in shape to do this hunt. Base camp is located at 10,000 feet and consists of modern log cabins. 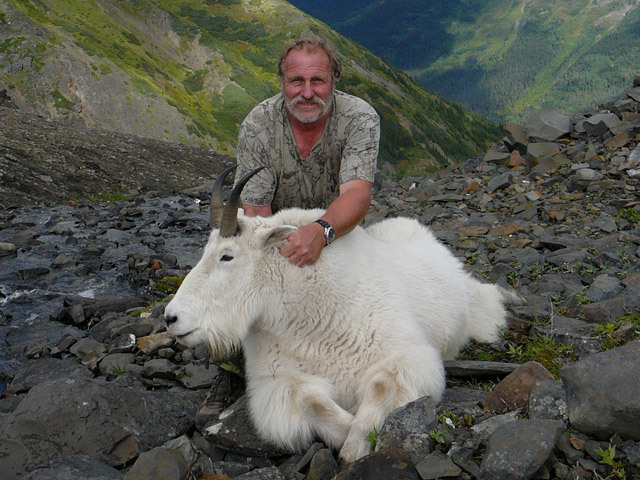 This hunt is very rare in that camp is located in the heart of goat country so hunters can return each evening to the comforts of a modern cabin, hot showers and a hot dinner. Past hunters have enjoyed 100% success. 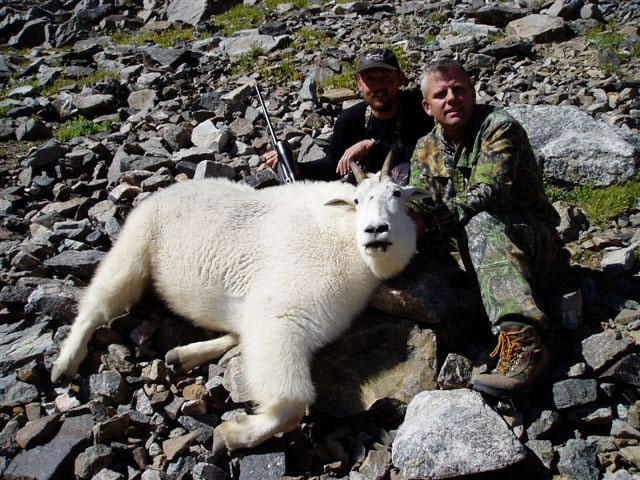 Harvested goats have ranged from 8 - 9 3/4 inches with the majority of animals being taken on the first day of the hunt. The application period is February 15- First Tuesday in April. Applicants need to have at least 3 preference points to be eligible for the draw. After gaining the 3rd preference point, applicants apply for and obtain a weighted point each year which increases the odds of drawing. Non-resident license cost is $1844 plus a $10 habitat stamp. 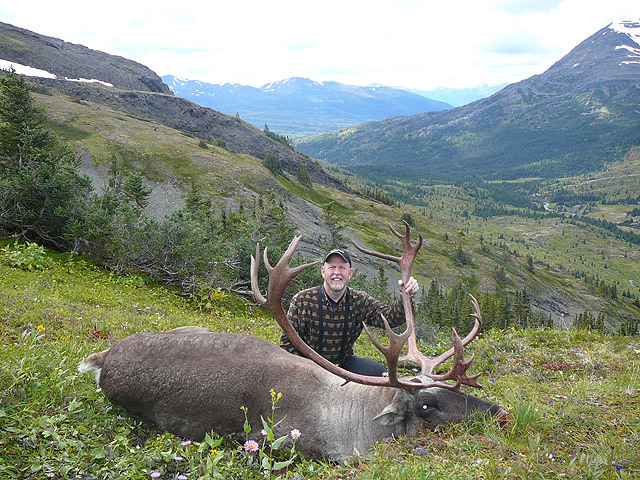 Includes meals, lodging, 1×1 guiding, field care and packing out of your trophy.